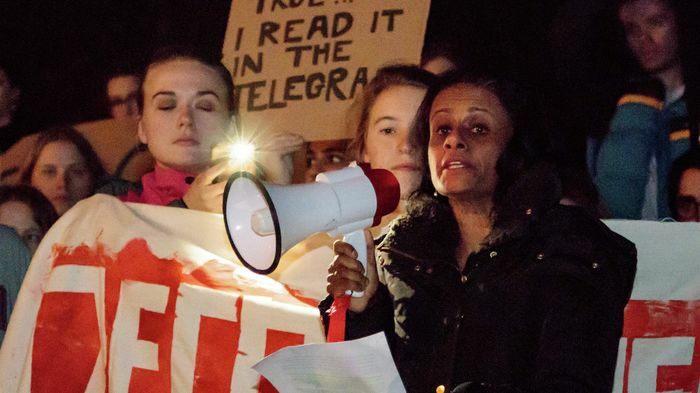 Dr. Priyamvada Gopal has been at the centre of many recent high-profile events, including the Cambridge strikes, a public argument with Mary Beard, and most recently a Daily Mail hatchet-job by journalist Guy Adams. She tells me of the moment she first glimpsed the article, which had a picture of her sprawled across the paper beside the headline, ‘How CAN Cambridge let this hate-filled don pour out her racist bile?’. Perched on an armchair in an office gently lit by sunlight on one of Cambridge’s sunniest days this year, she discusses Adams’s attack piece on her from two weeks ago, which harshly criticised her use of social media to speak out against Oxford theologian Nigel Biggar – which was “incontinent abuse”, in Biggar’s words – and others. “I was horrified, kind of depressed by it.” Gopal tells me, even though she has only skimmed the article – an active choice. “I got the general idea”, she says, and adds: “I just thought this was very ugly.” I sense dissonance in Gopal, over facing an ugly public attack while believing it is illegitimate. In his article, Adams paints a simple picture of the Churchill fellow: “Famed in academic circles for her strident left-wing views, she is a vehement supporter of Jeremy Corbyn who has published several opinion pieces in The Guardian and is a prolific user of Twitter, having posted more than 17,000 tweets in the past seven years.” If Adams is right, Gopal is easy to make sense of – a character that fits the narrative of harshness, and needlessly angry, thoughtless left-wing rhetoric. Before I leave, I ask Gopal to describe the floor-to-ceiling bookshelf in front of us. She tells me, “It’s a sort of … map of my research interests.” She starts at the top, where books on Marxism, Marxist theory, feminist theory and black studies sit from her time in graduate school. “Because I was in America I did a lot of race and ethnic studies as part of my graduate training,” she explains. Just below, at eye-level, we find her teaching materials on postcolonial theory, British literature, literary theory, and Asian American and African literature. The lowest shelves hold a mixture of Asian and South Asian literature and poetry. Biggar, portrayed in Adams’s article as a victim of Gopal’s “left-wing nastiness”, wrote in The Times: “If she’s that aggressive on Twitter, then what is she like in person?” Shockingly, Twitter rarely captures reality. In Gopal’s case, sitting in her office, listening to her speak, I realise she commands a certain intellectual vigour, a quickness and energy commonly mistaken for thoughtless aggressiveness. This is not unique to her; a number of other academics in Cambridge spring to mind. The difference, in Gopal’s case, is that she opens herself up to misinterpretation in using as public a platform as Twitter. It makes sense, then, when Gopal remarks about the piece: “I was surprised that it was entirely on me. Twitter seemed to agree. The hashtag #FreeSpeechSoWhite became a prominent feature of the conversation online, registering over a hundred tweets. She stands by what she said about Biggar – Adams quotes her as having called him “racist”, a “bigot” and “supremacist shite” – as a comment on his ‘Ethics of Empire’ project, not Biggar himself, a distinction she now sees the need to make explicit on Twitter. Perhaps naively, the medium’s public dimension has not always been at the forefront of her mind. “I had envisioned myself talking to friends who were discussing the project, and I was completely blind to the fact that this was actually happening in a public forum,” Gopal explains, though Adams’s piece has certainly been a wake-up call. I have often caught glimpses of Gopal amidst the crowd at last term’s stream of organised action. Through fourteen days of industrial action, a five-day student occupation, and some of Cambridge’s largest rallies, she could be seen huddled towards the back, keenly watching the action or talking to union organisers and student activists. “I find that this generation of students is very vocal and active, and politically engaged, and that has made it a much better place to be in,” she says. This has not always been the case. Seventeen years ago, when Gopal first arrived at Churchill College just out of American university Cornell where she had completed her PhD in colonial and postcolonial literature, she was faced with “a tremendous culture shock”. It was only when she came to Britain in 2001 that she began engaging directly and extensively with the legacies and afterlife of the British Empire. Her comments attacking imperial apologists are drawn from this immersion in colonial and postcolonial thought – a point Adams failed to mention, although he noted that “eminent Oxford don” Nigel Biggar has “published over eight books in five decades”. “You have this with Brexit, where you had wealthy establishment men claiming to be anti-establishment. You have this with Donald Trump where you have a billionaire who’s hugely well-connected, he’s a white man – he’s a white conservative man – claim to be speaking for the victims. “To do so, they’re doing something very interesting – they are taking the language, and the weapons, and the rhetoric of the marginalised. “For the Daily Mail to charge me with racism is a very good example, because you take the person who is complaining about colonialism, imperial apologetics, white supremacy, racism and say: ‘No, actually, you’re the racist.’,” Gopal says. How can Cambridge let someone ‘pour out her racist bile’, the Daily Mail headline asked. Perhaps more pertinently, how can the Daily Mail pour out masses of bile of its own?